Bridgestone is a world leading tyre manufacturer with a mission in mind – Serving Society with Superior Quality. Their commitment is to improve the safety and lives of people everywhere. In 2014, Ideas People was the appointed agency to develop their bi-annual catalogue pattern digest for Asia Pacific region. 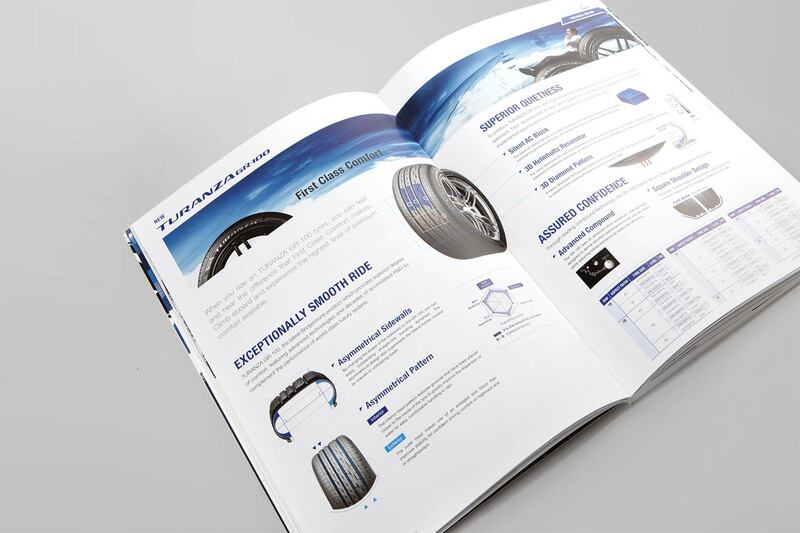 In designing the 2014 – 2015 version, we wanted to do away with their previous year pattern digest with the industry’s stapled conservative appearance while staying consistent with Bridgestone’s long-standing brand identity. With that in mind, we devised a layout system to organize the book’s heavy content in a manner that is coherent and visually exciting. 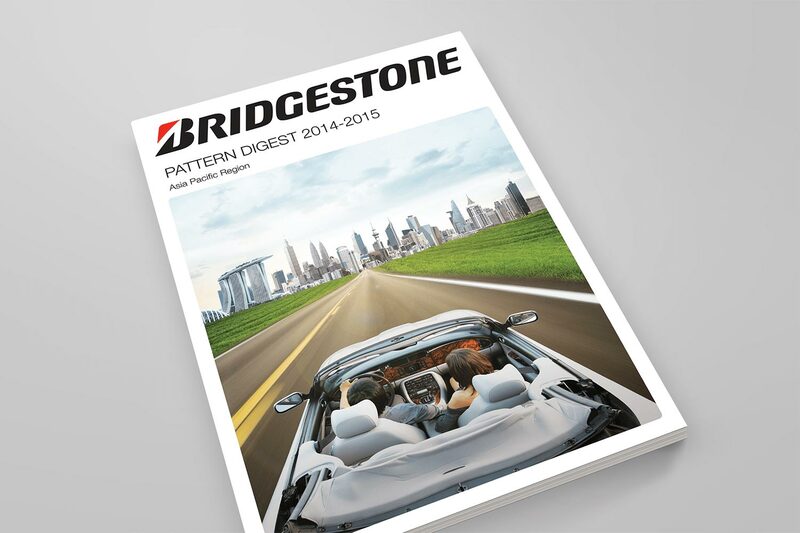 A careful selection of images is picked to reflect Bridgestone’s brand credibility. Bold typography is used to emphasize their promises, where else enlarged visuals of the tyres in detail is to exhibit the technologies and craftsmanship of their products. 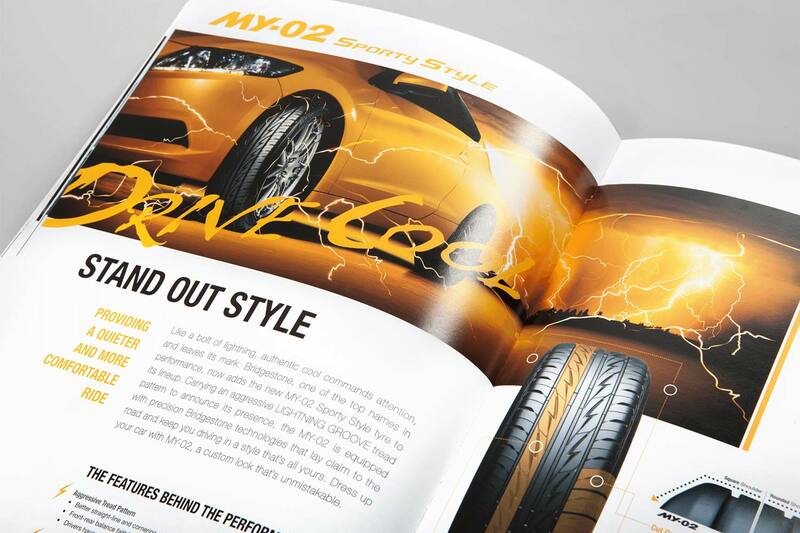 Our objective is to make the catalogue visual appealing, engage drivers interest to anticipate on all range of products what Bridgestone has to offer. 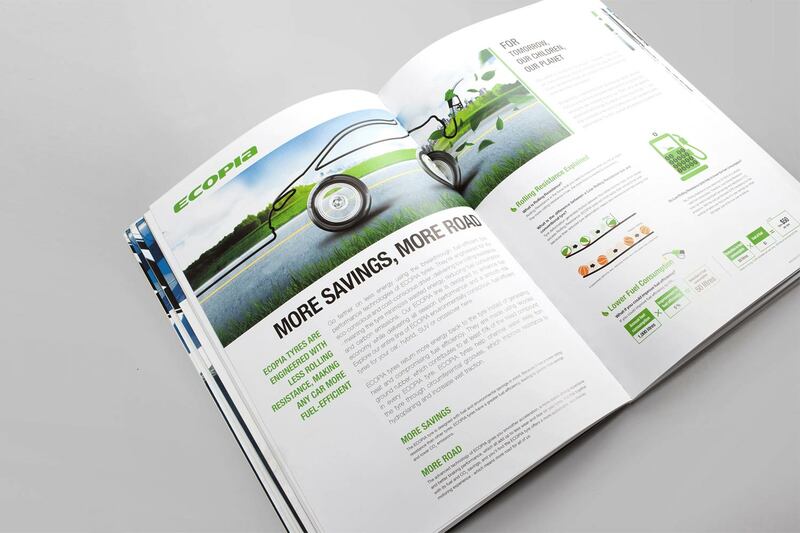 Others Bridgestone project includes Desktop Apps Fuel Calculator, Ecopia Microsite and Ecopia Videography.